Separate the room with painful divides, until there's nothing left to remind. In 2006, singer-songwriter Nils Edenloff, percussionist Paul Banwatt, and multi-instrumentalist Amy Cole came together to release their debut self-titled EP as The Rural Alberta Advantage. 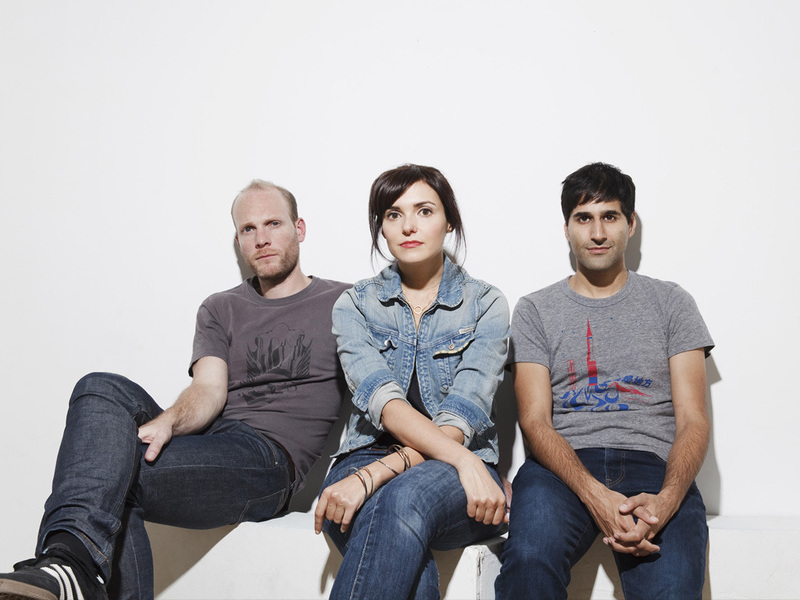 The ensuing years have brought two full-length albums (2008’s Hometowns and 2011’s Departing), widespread critical praise (SPIN, The New York Times, Rolling Stone, Pitchfork, NPR, among others), two Juno Award Nominations (Best New Group, Video of the Year), a Long List Nomination for the Polaris Music Prize, and a hard-earned reputation as one of the most impressive live bands you’ll ever see. It was through all of this that The RAA’s latest album, Mended With Gold, took shape. The twelve songs found on the album have been filtered through these experiences and achievements, pushing them to heights previously unreached by the band. While maintaining the heartfelt lyrics, fetching melodies, and explosive percussion that won the band a loyal following worldwide and one of the highest-selling eMusic Selects albums to date with their debut, Mended With Gold makes it clear that The RAA have reached the next level. From the first moments of album opener “Our Love,” it becomes unmistakable that these collective experiences have helped the band compose the most fully-realized work of their career. Two key elements that led to this leap was the band’s road warrior status and the chance to take full advantage of their time in the studio this time around. The trio spent months shaping the songs, sometimes first on keyboard, then guitar (and visa versa), and taking others on the road to workshop live. The RAA’s long-time live sound engineer, Matt Lederman (Hayden, !! !, Besnard Lakes) was brought into the studio this time around as a key piece towards capturing the live energy of the band for these songs – something the group was intent on reflecting on this album. Teaming up with co-producer Leon Taheny (Owen Pallett, Austra, F*cked Up), the two settled into Candle Recording in Toronto to record the album. While the sonics have now evolved, the plaintive lyrics and creative arrangements that helped define the band have remained. Standout tracks “Terrified,” “On The Rocks,” “Runners in the Night,” and “Vulcan, AB” confront ideas of love, loss, and heartbreak through the pain of going through such experiences and the person that comes out on the other side of it.